The singer and guitarist kept trying to steal the show, playing unrelated melodies that might have been for a hidden solo project, while the rest of the band politely kept along. They would benefit from practicing more regularly as a band and figuring out their intention as a band. What music does your band want to specialize in? They have some potential and some of their songs were acceptable enough that they could become decent. Meet: I wouldn’t recognize any band members. 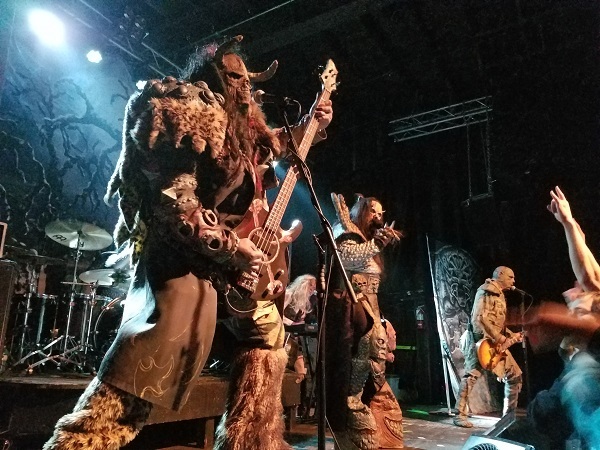 Lordi isn’t touring with anyone. Each venue on the “Monstour” features local bands, so the opening acts will be completely random at each location, which shouldn’t detract you showing up early. You might miss out. This band sounds more like a classic rock band and their singer has a dynamic vocal range. With some more memorable songs, and an album or two, they could easily break out of the local music scene and become popular. Meet: Should say “good show!” next time. If there were any potential in this band, it might be with the bassist or drummer, even though both were drowned out by the overall terrible hard rock sound that shouldn’t have been revived from the late 90s and early 00s. The singer was cupping the mic so thoroughly that it seemed like he was carrying the torch of Studio Seven’s poor sound mixing by himself. They might be better just starting fresh from scratch. Meet: Might offer improvement tips, if braver. A rousing bluesy rock trio with some potential to break the local music scene with two exceptions. 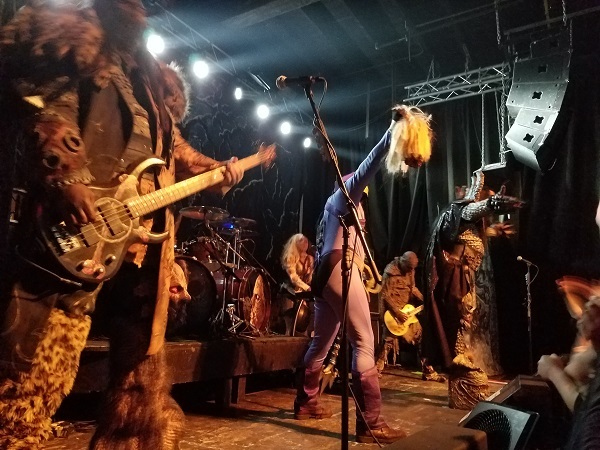 After ripping through some songs, they performed a passable cover of “House of the Rising Sun,” evoking the ‘cover song red flag.’ That’s playing cover songs to cheat in quickly engaging the audience’s attention. They’re otherwise good. Catchier original material and practicing their material more will better align them toward success. I’ll try to catch their next performance. Meet: Saw the bassist, didn’t say hello. Skeletor displaying the head of He-Man during “Let’s Go Slaughter He-Man” was my nerd highlight. Their bassist performing the best bass solo I’ve seen recently, a funky slap bass with a disco groove reminiscent of ABBA, was the musical highlight. They weren’t into audience interactive performance arts like GWAR, so they wouldn’t carry that torch, though they should receive more consideration because they aren’t about style over substance. The costumes are just for fun. Meet: Skipped the paid meet and greet.